I am an amateur self-taught cook that likes to experiment with a lot of recipes whilst incorporating my own healthy variation. A dinner is incomplete without warm fresh dinner rolls. I very seldom bake and serve dinner rolls but I was veering towards freshly baked onion garlic Parmesan rolls to go with a soup I had made. Plus I had a surplus of fresh Parmesan cheese. The inspiration behind this particular Parmesan dinner roll recipe came from a batch of buttery dinner rolls that a friend baked and served at a meal weeks ago.The rolls were incredibly soft and rich, I was yearning for some more. But rather than using an excess amount of butter, I used Parmesan cheese in these rolls flavored with a bit of onion and garlic. As reiterated before, I don’t make bread or rolls that often primarily due to the lack of time. When I miraculously dedicate some time to make them once in a blue moon, it is a special treat and they don’t last around long enough to be immensely enjoyed to the fullest. Plus I have my waistline to consider but I will splurge from time to time when I feel I have earned it. I absolutely love baking bread and related goods. I enjoy working with flour and yeast. At first, I thought baking bread was tedious and too labor intensive. The longer I have been working with these ingredients, the more my attitude towards bread baking started to evolve. I am very particular towards my homemade breads. I can’t get enough of their yeasty goodness. I find baking with flour and yeast to be very relaxing, therapeutic, and satisfying – all which are abruptly negated by the very dizzying, stressful, and tension-inducing moment when I realize the exuberant mess I created from baking rolls and all sorts of bread. Thankfully, these moments are not that frequent as I try to keep the mess to the bare minimum. I’ve learned to be very neat and organized in my kitchen but not all mishaps are avoidable. Every bite of these rich, delectable, flavorful onion garlic Parmesan dinner rolls were worth the aggravation and mess. And when I complained about nearly going insane from having a lot of Parmesan cheese earlier? I take that back. Now I have to run out and buy more Parmesan cheese from using all of them up on these dinner rolls. I will hold my tongue before I gripe about having too much cheese in the house (so long as they have not reached past their expiration date as spoiled cheese or anything dairy is a pet peeve of mine). In a small mixing bowl, combine the yeast, 1 tablespoon sugar, and milk/water. Give a stir and set aside for 5-10 minutes allowing the yeast to bubble. In another bowl, combine flours with salt and the remaining tablespoon of sugar. Mix yeast mixture in the flour. Place onions, garlic, butter, and oil in a food processor and process till smooth. Fold the onion garlic mixture into the dough. Add the Parmesan cheese. Mix and knead the dough on low speed with a dough hook, if using a mixer, for up to 3 minutes. Let the dough rest for 15 minutes, covered. This method allows the dough to gain more strength and elasticity. Divide the dough into 12 rolls. 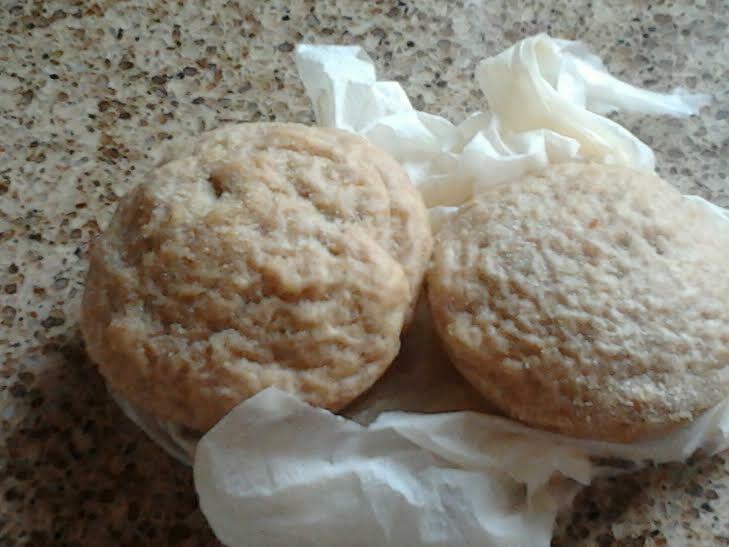 Place rolls in a greased muffin tin. Brush top of each roll with olive oil. Sprinkle top with Parmesan cheese, a bit of garlic and onion powder if you like. Place rolls in a draft-free zone and allow them to rise for 35 minutes or until doubled in size. Preheat oven to 375 degrees F. Bake for 25-30 minutes. This entry was posted in Bread, Dairy and tagged dinner rolls recipe, rolls Parmesan cheese.